Coca Cola vs. Science? The Sour Fight Over Sugary Sodas, And What You Can Do About It. When I was a kid I thought Coke was the best thing ever. From about the age to 10 to 15, my day wasn’t complete unless it included a seven ounce bottle of the sweet stuff. Even better was Coke with four cubes of ice and a slice of lemon plus maybe even a shot of grenadine in a grownup highball glass. To me aged 13 that was sophistication itself. Even now decades later I still like an occasional Coke. It’s way better that Pepsi. And yes, if you put a blindfold on me, I could still tell the difference. But the fuss raised rhis week by The New York Times over Coca Cola’s funding of scientists to influence the debate over what causes weight gain leaves a sour taste in my mouth. Coca Cola has spent millions of dollars to back researchers who claim that lack of exercise is a far greater cause of the obesity epidemic than poor diets. According to The Times, a non-profit group called the Global Energy Balance Network said the company gave it $1.5 million last year to start the organization, and nearly $4 million in funding for other projects. Most prominent obesity and diabetes researchers disagree. 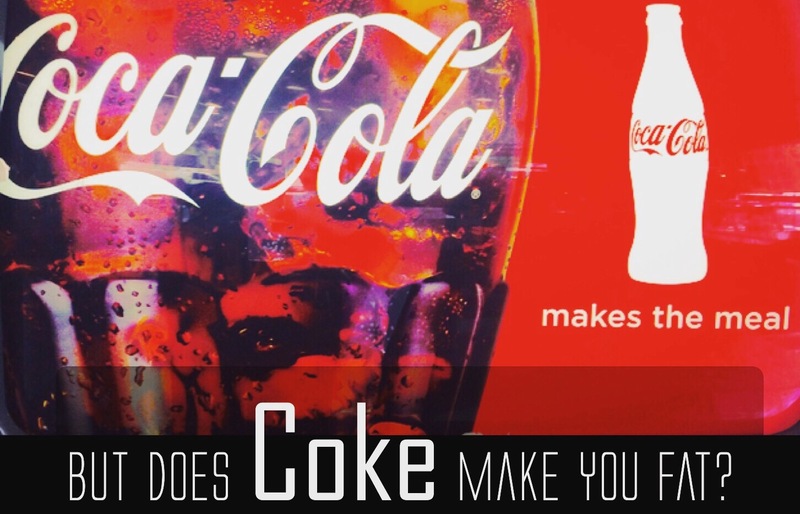 The news about Coke’s activities provoked uproar in the public health community. For this week’s How Do We Fix It? podcast, we invited Dr. Kelly Brownell, Dean of Duke University’s Sanford School of Public Policy to be our guest. As our show is about solutions, we asked him to look at fixes for America’s worst health crisis. “There’s very good science showing that consumption of sugary sodas is strongly related to risks for obesity, diabetes and some other major health problems,” Kelly told us. After decades of rising obesity and diabetes, the trend appears to have peaked. A Gallup poll says 60% of Americans are trying to avoid drinking soda. So Coke may have good reason to try and influence the debate and stop its sales slide. While there is nothing new about corporations paying money to fund scientific research, Coca Cola is playing a political role in the shifting debate over health and diet, as well as fighting back against soda taxes and efforts to stop the sale of high-sugar drinks in schools. Parents have a right to know the facts. More than two-thirds of Americans are overweight or obese. “Obesity around the world is now a more significant problem than hunger,” Kelly Brownell told us. 1. Parents should know that weight problems usually start very early in life. “Early obesity tracks into the adult years,” he says. 2. Government can help with “policies that only allow healthy foods in schools. There could be restrictions on what foods are marketed to children.” Dr. Brownell also supports a soda tax. I’ve got a fourth one. Portion control. Eat and drink less. When I was a kid, Coke came in 7 ounce bottles. Then 12 ounce cans were introduced. Now the stuff comes in 20 ounce single-serve containers. Is it all the beverage industry’s fault? No. As my pal and podcast show co-host Jim Meigs says: “Never under-estimate the ability of captalism to give us what we want.” Marketers and makers will keep on finding new ways to tempt us. But ina free-market society built around choice, stupidity comes with a cost. We all have a role to play in making reasonable choices.